Sales of Massachusetts wines in 2011 increased by an amazing 66%! What is responsible for this astounding growth? A recent study seems to indicate that it is due to the new ability of local wineries to sell their products at farmers' markets and agricultural events. On August 5, 2010, Governor Deval Patrick signed S2582: An Act Relative to Economic Development Reorganization, which permitted local wineries to sell wine at farmers markets, fairs and festivals. I have always supported this law, and it has been great to visit local farmers' markets and see wineries showcasing their products. Many local wine stores actually do not carry Massachusetts wines, so the wineries really do need additional outlets for their products, such as farmers' markets. There is now evidence that this was a very positive law and has significantly helped these local wineries. The new study, Evaluation of Wine Sales at Massachusetts Agricultural Events 2011, used information garnered from surveys sent to the participating wineries. In 2011, 18 wineries participated, appearing at 63 farmers’ markets and 6 agricultural fairs and events. It is also important to note that 4 wineries indicated they have been denied permits at 7 farmers's markets and 1 agricultural event. It does not sound like some of the denials were justified. Some towns really didn't understand the new law, and thus they were wary about granting permits. During 2011, the participating wineries sold about 34,280 bottles of wines, with a total value of $514,200, an overall 66% increase in overall sales. But added income was not the only benefit the wineries derived. 82% of the wineries reported increased visitors at their winery and 94% reported increased recognition for their wine. In addition, the public learned much more about the Massachusetts wine industry, which will help all local wineries. This success will translate into growth for many of these local wineries. Some of their plans include expanding grape & fruit production, increasing wine production, hiring additional employees, purchasing additional equipment and more. So the financial benefits will accrue to others as well, as healthy businesses contribute to local economies. Hopefully, these wineries will participate even more in farmers' markets and agricultural events in 2012, and will earn even greater income. People of Massachusetts, support local wineries! The wines can be delicious, it is good for the economy, and it is great to support local businesses. Last year, did you buy local wine at farmers' markets? 1) "Let’s face it, you think China is a place shrouded in mystery and you want to know more! What’s the deal with the “year of the animal” thing? How does feng shui actually work? What is the difference between Taoism, Buddhism and Confucianism and how can it be applied to your everyday life?" Learn all you ever wanted to know about these mysterious, or not so mysterious, concepts, ideas and practices at China Blossom’s new “Reality Check: China Style!” lecture series sponsored by the Asian Boston Media Group. The series launches on Thursday, April 26, and continues on the last Thursday of each month through June. Choose some dishes from the China Blossom menu and enjoy a free lecture about topics such as feng shui, Chinese astrology and modern Buddhist practices. Feng Shui Rudiments: Guest speaker Peg Donahue, Co-Founder of The Center of Feng Shui and Intuitive Arts, will discuss the fundamentals of feng shui and its meaning in Chinese culture. Donahue has advanced training and experience in Bau-Biologie, feng shui, mind-body energy techniques, manifestation and quantum physics. She is the founder of Feng Shui Connections, Co-Founder of Living Energy LLC and is also the co-author of Dorm Room Feng Shui. Donahue received her MBA from Boston University and her BA from Georgetown University. Chinese Astrology: Guest speaker and certified feng shui practitioner, Katina Lemay, will discuss the ins and outs of Chinese Astrology, as well as the basics of the well-known “Four Pillars” concept. Lemay combines her intuition with her training in black sect, compass and form feng shui, earth energies and four pillars astrology to help individuals improve targeted aspects of their lives. She is a certified home stager and Kundalini Reiki Master. She is the founder of The New England School of Feng Shui and is a Red Ribbon member with the International Feng Shui Guild. Modern Chinese Ideologies and Daily Life: Taoism vs. Buddhism vs. Confucianism: The Boston Buddha, Andy Kelley, will engage guests in a 101 comparison of modern Chinese religious beliefs and then engage attendees in a thought provoking discourse on how to be more mindful in daily life. He founded The Boston Buddha to teach individuals to be more productive in their careers and happier in their lives by incorporating meditation into their busy schedules. Kelly graduated from the Mindfulness-Based Stress Reduction Program (MBSR) at the Center for Mindfulness at UMass Medical School and is a certified instructor of Primordial Sound Meditation for The Chopra Center. Cost: Enjoy a complimentary lecture with dinner from China Blossom’s menu. Reservations are necessary as lectures are held in private dining room. Please call 978-682-2242 for more information or to make your reservation. 2) Legal Sea Foods is “Raising the Bar” once again by debuting their new spring and summer cocktail list. New to the “Martini” list, Legal Sea Foods will now begin pouring the Double Cross Truffle Martini (pure, clean Slovakian Double Cross vodka, truffle & blue cheese olive - $12.95) and the “Perfect” Ten Martini (Tanqueray 10, aromatized wines, lemon twist - $10.95). For “House Specialties,” sangria options ($9.95 each) now come threefold: Yumberry Sangria (Thatcher’s Yumberry liqueur, Hendrick’s, moscato, lime, fresh raspberries, soda); White Sangria (St. Germain, Skyy Citrus, sauvignon blanc, lemonade, lemon bitters, lemon-lime soda); and, Legal Sangria (Spanish Red Wine, Cruzan Raspberry and Citrus rums, Massenez Crème de Peche, lemon-lime soda, fresh fruit). There is also a classic Moscow Mule (Russian Standard, Gosling’s Ginger Beer, lime - $9.95). Legal Sea Foods also offers “Exclusive Selections” featuring their own hand-selected, privately bottled El Dorado 5 Year Rum, Corazón Añejo Tequila and Eagle Rare 10 Year Bourbon. Newcomers to this category include: Smokin’ Hot ‘Rita (Corazón Añejo Tequila, Del Maguey Vida Mezcal, jalapeño-habanero syrup, fresh watermelon, lime - $9.95); Mojito (El Dorado 5 Year Rum, mint, lime soda - $9.95); and, “Old Fashioned” Old Fashioned (Eagle Rare 10 Year Bourbon, sugar, orange bitters, Angostura bitters - $9.95). The Fresh Watermelon Crush (Rain Organic Vodka, fresh watermelon, simple syrup - $9.95) will join the ranks in the “Cocktails” portion of the menu. For those looking to cool down, head to their “Highballs” section ($8.95 each) where you will find the Coconut Lemonade (Skyy Coconut, coconut water, fresh lemon, sour). For “Tasting Flights,” guests can explore their palate with three one-ounce pours. In the new Legal Trinity ($11.95), sip on their exclusively barreled spirits: El Dorado 5-Year Rum, Corazón Añejo Tequila and Eagle Rare 10-Year Bourbon. Other flights include: Patrón Tequila (Silver, Reposado, Añejo - $13.95); A Taste of Tawny Port (Quinta do Noval 10 Year, Fonseca 20 Year, Taylor Fladgate 30 Year - $14.95); Ultimate Chocolate Ecstasy (Bailey’s Irish Caramel Cream Liqueur, Godiva Chocolate Cream Liqueur, Bailey’s Irish Chocolate Mint Cream Liqueur - $10.95); Grand Mariner (Grand Mariner, Grand Mariner Centenaire, Grand Marnier Cent Cinquantenaire - $24.95); and, Nectar of the Gods (Brinley’s Gold Coffee Rum, Brinley’s Gold Coconut Rum, Brinley’s Gold Vanilla Rum - $8.95). 3) On April 11, at 6:30pm, Legal Sea Foods will team up with the co-owners of the Hermann J. Wiemer Vineyard, Fred Merwarth and Oskar Bynke, to host a four-plus-course wine dinner at the Park Square location. Each course will feature Legal Sea Foods’ signature cuisine paired with selections from this vineyard in New York’s Finger Lakes. 4) "With more than 150 Regional Pasta Tour dinners under their belts, Tavolo chefs Chris Douglass and Nuno Alves believe they have circumnavigated the 20 regions of Italy at least three times  adding up to a whopping 450 authentic recipes researched, cooked and served since 2009." Their 3-course Regional Pasta Tour menu ($25) is offered every Wednesday from 5-10 PM, with dishes originating from stalwarts like Tuscany and Sicily, and from lesser-known pockets of culinary discovery like Campania (Spaghetti with Salmon & Braised Octopus). One Wednesday a month, Regional Pasta Tour is devoted to one of Italys countless annual food festivals. Festivals of Pignoli and Baccala are coming up in June and July ! While exploring Central Square in Cambridge, I found Thelonious Monkfish, a restaurant that specializes in Sushi, Japanese and Thai food. They state that their tagline is "Jazz for the Palate because we love to jam on Asian culinary themes." I looked at the menu in the window and it was a short list of small plates which sounded enticing, so I figured I would stop in and try a few things. The restaurant is long and narrow, with a row of tables on one wall and a sushi bar, booths and a few tables on the other wall. The decor is clean, modern and more minimalist. The menu I received was relatively small, and might have just been their lunch menu, as what is listed on their website is a much more extensive menu. I also saw their sushi menu, which is also quite extensive with a long list of maki rolls. Prices are reasonable. They have recently been approved for a wine and malt beverage license so will soon be bringing in Sake, wine and beer. The Idaho Maki, sweet potato tempura roll, was very good, with the right amount of firmness and taste to the sweet potato as well as a nice, crunch from the tempura. It is comparable to other well done Idaho maki I have previously eaten and I would order it again. These House Made Steamed Shrimp Shumai were a winner. They are larger than many shumai, but that is not a flaw, and it almost seems as if the exterior had been lightly fried because they had a slight crispness. The interior was a bit crunchy along with a smooth paste, and it seemed as if there were some decent sized pieces of shrimp in the shumai. Lots of flavor, a nice blend of textures, and an excellent presentation. Highly recommended. The Karaage Chicken was disappointing, being too dry. The taste was ok, but I needed to soak it with soy sauce to make it more palatable because of its dryness. I have had karaage chicken at numerous other restaurants, and this was one of the poorest representations I have tasted. Service was very good, and there were a number of other menu items which sounded intriguing. I want to return to check out more of their cuisine, especially once they start carrying Sake. So, based on my limited experience, it is worth checking out, though I would not recommend the karaage. Sometimes we take the simple for granted, desirous of the more complex, the more intricate and involved. With food, simple dishes often get ignored in favor of more complicated and sophisticated meals. Comfort food, which is usually a simple meal, may be savored but often does not receive the same respect as haute cuisine. The Japanese seem to better understand the value, and even beauty, of simple cuisine. With excellent ingredients and proper technique, a simple meal can be elevated, worthy of adulation. Revel in simplicity and seek out that beauty within. "Simplicity is Beauty and Beauty is simplicity, nothing more, nothing less." Nestled on Hanover Street, closer toward the water, is Lucia Ristorante, a more old school Italian restaurant which opened back in 1977. At that time, the North End was far different than it is now, with far fewer restaurants and Lucia has seen great changes in the North End over the years. Donato Frattoroli (pictured above) and his older brother, Filippo, who both are originally from the Abruzzo region of Italy, had previously owned an Italian restaurant in East Boston but when it closed, they decided to open another place, this time in the North End. Lucia proved to be successful and they eventually opened a second restaurant in the suburbs, in Winchester, in 1986. I have dined several times at their Winchester location, usually ordering the pizza which I think is some of the best in the area. But I previously had not dined at their North End location so was eager to check it out when I received an invitation to attend a blogger dinner there, a meal centering on polenta. At the dinner, I sat near Donato and Antonio, the General Manager, and found them both to be gracious, down-to-earth and and very personable individuals. They freely answered our questions, and were very upfront about their restaurant and cuisine. We even got a peek into their kitchen, the inner sanctum. Some might consider Lucia Ristorante to be dated, an old style restaurant which needs to be transformed into something more modern, but Donato made it clear that they are satisfied with their restaurant and its offerings. They have many long-time customers who visit regularly, seeking specific menu items. In addition, they have a significant tourist traffic, especially in the summer, when up to 75% of their customers can be tourists. They are certainly not hurting for business in the very competitive North End so whatever they are doing is working well for them. Lucia is a family business and Donato hopes that his children and other family members will continue to carry the torch. This year, Lucia celebrates their 35th anniversary, and the hope is that it will celebrate many more. Our main chef for the evening was Pino Maffeo, who usually works at the Winchester location. Pino graduated from the Newbury Culinary College in 1991 and after graduation worked at a number of restaurants around the country. In 1996, Chef Maffeo returned to the Boston area to work at the acclaimed Sage restaurant though three years later he would leave for New York City. He then began working with famed Chef Patricia Yeo at her muchly lauded restaurant AZ and later at her second restaurant Pazo. But Boston called once again, and in 2003, he returned to work there, first at Restaurant L and then Boston Public. Finally, in 2009, he started as Executive Chef at Lucia Ristorante in Winchester. Pino possesses an impressive culinary resume, and also has an interest in Japanese cuisine and Sake, so it was fascinating to spend a little time chatting with him, especially about my opinion that Italian cuisine and Sake can pair very well together. For our dinner, Pino prepared a simple meal rather than some fancy, high-end Italian dishes. With good ingredients and excellent technique, this simple dinner was extremely satisfying, excellent comfort food for a chilly winter evening. We began with an Antipasto Plate containing Prosciutto di Parma, Sopressata, Provolone, Roasted Peppers and Marinated Eggplant. Silky prosciutto, sharp provolone and more were a nice start, with an appealing presentation, a nice freshness and a good taste. Next up was some Bruschetta, one variety topped with mushrooms and the other with broccoli rabe. Another simple dish, grilled bread with flavorful, earthy toppings. I would have loved a glass of Sake with the mushrooms, which would have enhanced that savory taste of umami. The Balsamic Glazed Sautéed Shrimp is not a traditional Italian dish, but is more a simple experiment, an attempt to make a dish reminiscent of Chinese food. Well, it was a successful experiment in multiple ways. It not only reminded me of a sweet and sour Chinese shrimp dish but also was quite tasty with good-sized, tender shrimp. The sauce was sweet without being cloying, and there was a pleasant balance of some tartness. I eagerly devoured a fair number of these shrimps. Our main entree was Polenta, which is essentially a peasant dish of milled corn and water which can be found throughout northern Italy, including Abruzzo. Above, you can see the pot of polenta as it was being cooked in the Lucia kitchen. Though a simple dish, it can be found in numerous variations, such as coarse grain, fine grain, thick or thin. There is also a darker, historical side to polenta, as it was responsible for an endemic and deadly disease during the 18th century in Italy. Some peasants ate polenta almost exclusively, rarely eating meat, because it was so inexpensive and filling. But, corn lacks vitamin B3 (niacin) so the constant polenta consumption led to some peasants being afflicted with pellagra, also called the "sickness of the rose" and "Italian leprosy." It was eventually realized that they needed to add some proteins to their diet, and not just eat polenta, to avoid this illness. It is also interesting to note that the term "polenta" sometimes is used to replace the term "Madonna" in exclamations and curses because you are not supposed to take the Madonna's name in vain. I began with the Abruzzo Style Polenta topped by Braised Rabbit with Truffles. The polenta was moist and firm, with a strong corn flavor and it absorbed the juices of the toppings. The rabbit was delicious, tender and flavorful, with a nice earthiness from the truffle. I am a huge fan of rabbit so this dish really appealed to me, though I was not keen on the fact that there were some bones in the rabbit. I think that was a small distraction from the tasty comfort food. I also had a hearty slice of Abruzzo Style Polenta topped with Braised Shortrib and Sausage in a red sauce. The polenta was consistent with the other one, and the toppings here were quite satisfying, again the meat being tender, spiced well and scrumptious. A very hearty dish, this is the epitome of simple and enjoyable comfort food. I couldn't really choose a favorite between the two polenta dishes as each had their own unique strengths. Though my belly was full of plenty of polenta, I found a little extra room for dessert. The Coconut and Lemon Sorbetto, served in rinds, was creamy and good but it was the Hazelnut Cake, drizzled with creme anglaise, which really impressed me. The cake is supposed to be unique to Lucia, and was moist, dense and possessed a delightful nutty and sweet taste. An excellent ending to this simple dinner. Despite these dishes being simple, they did not have a one-note taste. They possessed a complexity of flavors which elevated them to a higher level, which provided a beauty to their simplicity. Chef Maffeo and his staff did an excellent job preparing these dishes. If they can prepare these simple foods so well, it bodes well for the rest of the menu too. For me, the only misstep during this was the choice of wine, a Puglian Sangiovese. I love the Sangiovese grape, which is a key component of Chianti and other Italian wines, but this particular wine was too simple, too much of a singular flavor. Inexpensive wines don't have to be that way, and can possess an element of complexity, which would have better complemented our dinner. Sometimes, being too simple is a flaw, when the flavor itself is monotone and boring. Service was very professional and well done. It was a fun evening, with plenty of interesting conversation, some education and plenty of laughs. Lucia Ristorante would like to hold small, family-style dinners like this in the near future, featuring polenta and other items, and I think that would be a great idea. I think I also need to return soon to their Winchester location, and maybe check out more items from their menu. Seek simplicity. Conservationists estimate that as many as 100 million sharks are slaughtered each year, primarily for just their fins. There is a dispute as to the actual number, with the lowest figure around 25 million. Because of this massive slaughter, it is thought that some shark species could have decreased by more than 75%. In a process called "shark finning," fishermen, while at sea, will catch sharks, remove their fins, and then throw the rest of the shark back into the sea where they will die. The most commonly targeted shark species include blacktip, blue, bull, hammerhead, mako, porbeagle, sandbar and thresher, though sometimes other shark species are taken as well. What is being done with all those shark fins? They usually end up in soup. Shark fin soup is a famous Chinese soup, with a history extending back centuries to at least the Ming Dynasty, if not older. Originally, it was a rarity, prized by Emperors and the very wealthy because it was very expensive and required extensive preparation. Though it has expanded beyond that elite, it generally still is seen as a luxury item, a requisite for special occasions such as weddings and grand banquets. It is considered a symbol of wealth, honor, prestige and power. Interestingly, shark fins are basically tasteless and they are embraced more for their texture. Since the passing of the Shark Finning Prohibition Act of 2000, shark finning has been illegal in the U.S. and for U.S.-registered vessels. But, there was a loophole that permitted U.S. fishermen to purchase shark fins in international waters and then resell them in the U.S. Fortunately in 2011, a new law, the Shark Conversation Act, closed that loophole. Now, shark fins cannot be imported into the U.S. unless they are accompanied by the rest of the shark's body. The Act also permits the imposition of sanctions on other countries which allow the practice of shark finning. Recently, a possible solution to the shark fin problem has been proposed, the use of farmed tilapia fins from Taiwan. Taiwan tilapia, originally called Wuguo Fish after the two men, Wu Zhen-hui and Guo Qi-zhang, who introduced the fish to Taiwan in 1946, is said to possess the same appearance and texture as a shark fin, and thus would make a good substitution in the soup. The fins must be served shredded though because they are much smaller than the usual shark fins. Tilapia is much cheaper and a far more sustainable choice than shark fin. But will it serve as a proper replacement? No, the best thing to do would be to skip the tilapia fins and look to Bordeaux wine as the best replacement for shark fins. Yes, that sounds very strange. How will adding wine to soup replicate shark fins? It won't! Rather, we need to understand the rationale behind shark fin soup, to look beyond the dish itself and look deeper into its symbolism. As I have already said, shark fin is a luxury item, a symbol of wealth, honor, prestige and power. A Chinese host wants to display their generosity and prosperity, to impress their guests with something rare and valuable. It is not about the taste or texture of the shark fin soup. It is the symbol of what that soup represents which is far more important. So, even if tilapia can match a shark's taste and texture, it will still fail as a replacement because it lacks the proper cachet. It is not an expensive and rare ingredient, not a symbol of wealth and prestige. It would be seen more as a cheap knockoff, and a Chinese host might lose honor for serving such an an inferior item. So what is truly needed is something rare and expensive which can replace shark fin, something which carries prestige. High end Bordeaux wine, such as First Growths, or some other equally expensive wine, can fit that qualification. We all know how Bordeaux wine has taken China by storm, and that expensive Bordeaux has found a great market in China. That type of wine fits within their cultural desire to display their prestige and wealth, to give to friends and business associates an expensive gift. Bordeaux can easily be more expensive than shark fins, so it offers an even greater symbol of wealth. At weddings, great banquets and other such significant events, serving costly Bordeaux can speak far more loudly than any soup. So save the sharks and let the Chinese drink Bordeaux instead! If your son was dying of cancer, what would you do to save him? I have taken a big step, self-publishing a new short story for the Kindle. I have always loved writing fiction, and have previously posted five of my food & wine related tales on my blog. I have written plenty of other fiction that has yet to be posted anywhere. It is time to take the next step, to start publishing my work and the advent of the e-book has made that more accessible. So this story is a pioneer, blazing a path for me which I hope will lead to a better realm. 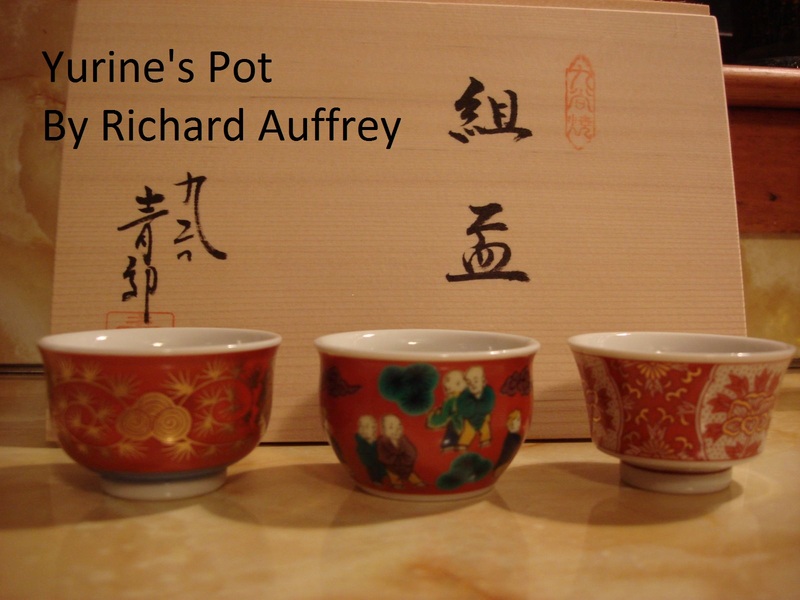 The tale, Yurine's Pot, is a modern fantasy, revolving around an ancient Japanese legend about Sake. A father, whose son is dying of cancer, may have discovered a mystical cure but others are willing to kill for it. Is the legend real or is the father merely deluding himself? What is the father willing to sacrifice to save his son? This short story is now available HERE and will be Free on Saturday and Sunday, before reverting back to its $0.99 price. I hope that you enjoy this short story, and if you do, please leave a review on Amazon as well as leave me a comment here on my blog. If you have any constructive criticism, I would love to hear that as well. 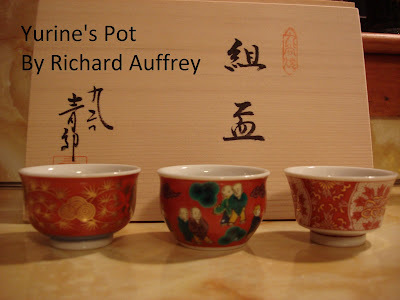 If this story is well received, it could be the first of more Sake-centric short stories. 1) For Easter Sunday, Tryst in Arlington will be extending its Sunday brunch hours from 10am-3pm on Sunday, April 8, to offer diners a special two course, prix fixe brunch menu for $22 per person (tax and gratuity not included) . Guests will indulge in specialty items such as Lemon & Ricotta Pancakes, Breakfast Pizza (eggs, house-made sausage, herbed goat cheese & caramelized onions) and Croque Madame (country ham, Mornay, sunny side up egg & greens). A children’s menu will be available a la carte. Reservations are required and can be made by calling 781-641-2227. Tryst will not be serving dinner that evening. 2) The Quinault Indian Reservation is over 200,000 acres of pristine productive conifer forest land that meets 23 miles of unspoiled Pacific coastline in Washington State. The people of the Quinault Indian Nation (QIN) continue to fish the same land their ancestors did centuries ago. Beacon Hill Hotel & Bistro presents a special dish “Quinault Tribe Steelhead Trout with Wild Mushrooms, Orange Scented Beets and Pickled Saltwort ($27)” on its menu for a limited time. The Steelhead Trout comes directly from the Quinault Indian Nation (QIN). “This particular fish is important for a few reasons. First and foremost, it is delicious and has a very limited season. Grabbing great ingredients as they become available, especially if it is just for a brief moment during the year, is important to us at the Beacon Hill Hotel & Bistro. Everyone can eat farmed salmon, cod and tuna almost any time they want. But, there is a lot more out there--like this particular trout. Sourcing the best ingredients during their limited peak, working directly with the Quinault Indian Nation, supporting their sustainable practices, and helping to also preserve an American tradition means a great deal to us,” said Josh Lewin, Executive Chef of Beacon Hill Hotel & Bistro. “The entirety of this dish is ‘Pacific-Northwest’ in scope from the steelhead itself, to the foraged mushrooms and saltwort (seabeans); literally tasting as if the diner is standing on the river pulling the fish out and cooking it right there. It is a real ‘time and place’ dish,” said Chef Lewin. This Quinault Tribe Steelhead Trout is available daily at the Beacon Hill Hotel & Bistro for dinner Monday through Saturday 5:30PM to 11PM - Sunday and Holidays - 5:30PM to 10PM while it is at its peak. It is anticipated to be pulled sometime in early-mid April. 1. Place beets in a small baking dish with the oranges thyme and bay. Fill halfway with vegetable stock. Cover tightly and bake at 325 degrees until tender (Roughly 45 minutes). Peel beets right away, leave whole and set aside. 2. Heat a heavy skillet and add enough fat to lightly coat. Season the steelhead liberally with salt and pepper on both sides. When the pan is hot, sear the fish on the top side turning 90 degrees halfway through. 3. Carefully turn fish to the other side in the pan and discard the animal fat. Turn heat to low and add 3 tablespoons butter to the pan. Baste continuously with the butter until cooked to medium rare, about 5 minutes. 4. Meanwhile, add mushrooms to a sauté pan and add 4 ounces vegetable stock, salt and pepper. Cook over medium heat until the liquid is halfway reduced. Add 1 tablespoon butter and continue to cook until mushrooms are done and liquid has almost completely reduced. Check seasoning, plate and serve. 3) On Wednesday, April 25, from 7pm-9pm, Towne Stove and Spirits will “Go Green” by hosting an evening with Greg Stiemsma to benefit the Young Audiences of Massachusetts. This basketball prodigy and Boston newcomer will double up as a celebrity bartender for the night to further raise awareness of one of the state’s leading non-profits that focuses on providing students with access to quality art programs. Sip, snack and shake it up with one of Boston’s newest favorite athletes in Towne Stove and Spirits’ luxurious Back Bay Room. Sports aficionados, philanthropists, socialites – and everyone in between – will be treated to complimentary wine and beer selections alongside hors d’oeuvres prepared by Culinary Director Lydia Shire. Stiemsma’s dedication to community causes is one that has graciously traveled with him from Wisconsin to Boston and Towne is proud to raise its glass to this unforgettable night-with-a-cause. More Info: This event is ages 21+. To reserve tickets, please visit: E-Store Boston. For more information on the Young Audiences of Massachusetts, please visit: www.yamass.org. 4) On Tuesday, April 3, The Beehive presents a tribute to the innovative jazz genius Miles Davis with cuisine, libations and live entertainment. Join The Beehive for this celebration of an American icon as some of the most powerful and seasoned musicians in Boston honor the late-great Miles Davis with everything from bebop tunes to cool blues. Miles Davis was an innovative composer and bandleader and is regarded as one of the most influential and respected figures in 20th century jazz. Along with his musical groups, Davis was at the forefront of major developments in the genre like bebop, cool jazz, hard bop, modal jazz and jazz fusion from the late 1940s to the early 1960s. His album “Kind of Blue” is the best-selling album in the history of jazz music and his work garnered him eight Grammy Awards, a Grammy Lifetime Achievement Award and three Grammy Hall of Fame Awards. The spirit of Davis comes alive at 8pm as Phil Grenadier on trumpet, George Garzone on sax, Tim Ray on the keys, John Lockwood on bass and Luther Grey on drums take the stage to honor Davis in all of his musical incarnations with a powerful and breathtaking set until 12am. The night’s music will be complemented by the culinary contributions of Executive Chef Rebecca Newell from 5pm-2am. 5) Butter Café and Bakery, located in Walpole, will be celebrating Easter this year by giving its customers a free order of homemade marshmallow peeps with every order placed for the upcoming holiday. Customers merely need to mention that they’d like their free peeps when placing their custom order by calling 508-668-2123. When: Available March 23-April 8 (orders must be placed on or before 4/08/2012). --Prepare a 9 x 13 x 2 inch pan as follows....Cover the pan lightly with shortening. --Cover it for about 3 to 4 minutes to make sure that the sugar crystals on the sides of the saucepan melt. Uncover and turn up the heat to medium high heat and insert a candy thermometer into the mixture. --Pour the syrup into the gelatin mixture. After all the syrup has been added, turn the mixer to high and beat it like Michael Jackson for 10 to 15 minutes or until the mixture is really white (should be like the consistency of Fluff). Now add the Vanilla. --The next day, sift the colored granulated sugar onto a cutting board and turn the pan over in order to remove you’re soon to be Peeps. Tap the stiffened Marshmallow out of the pan and remove. Use your favorite “animal –like” cookie cutter and shape your peeps. Dip the cut sides of each strip into sugar to coat then cut each little bit. --Shake to get rid of the extra sugar. From Sweet Potato Biscuits to Rum, the pleasures of local businesses. The New England Food Show took place at the same time and location as the International Boston Seafood Show and though I devoted plenty of time to the seafood show, I made some time to check out the exhibit booths at the NE Food Show. This was a trade show, much of it devoted to the food services industry, and you could find everything from water dispensers to flatware, from cutlery to signage. In addition, there were numerous food products, often with samples, from hot dogs to donuts, as well as alcoholic beverages, including beer, wine and spirits. There are three food products that I want to highlight, those which made the greatestest impression on me. In addition, I will showcase four producers of alcohol, from hard cider to rum, and most of them are local producers as well. I will be following up on a few of these items, for additional information and further tastings, so you may read about them, in greater detail, at a future date. Killer Sweet Potato Biscuits! Gagne Foods, located in Bath, Maine, had its start about thirty years ago when Chef Michael Gagne created his special Cream Cheese Biscuits. The biscuits were first sold in his restaurant and later expanded to being sold in various other venues in Maine. When the demand for the biscuits out grew their production capability, they created a larger manufacturing facility. Their biscuits can now be found in some bakeries and artisan food shops as well as in the refrigerated section of various supermarkets. As an average price, you can a package of four fresh biscuits at a bakery for $4.49 or a box of six frozen biscuits at a supermarket for $4.99. They produce a line of baked goods, including several types of biscuits. The original Cream Cheese Biscuit uses cream cheese and butter rather than shortening. You can also find Sweet Potato Biscuits, Cheddar Chive Biscuits, Buttermilk Biscuits and Herb Parmesan Biscuits. The Sweet Potato Biscuit thoroughly impressed me, with its soft, multi-layered biscuit and prominent sweet potato taste. A nice blend of flavors, an excellent texture, and very addictive. I actually visited their booth each of the three days just to have more of the sweet potato biscuits. Their Chocolate Brownie Biscuit was also very tasty, with a rich chocolaty flavor and moist texture. I am very picky about my Cinnamon Rolls, with my Mom's cinnamon rolls serving as the standard for all others. I have to say that these did very well, with plenty of cinnamon and a soft pastry with hints of crispness. Far too many lack sufficient cinnamon, or the pastry is too tough and hard. These satisfied me and are worthy of my recommendation. Kettle Cuisine, located in Chelsea, Massachusetts, was founded in 1986 and produces a full line of soups, at least over 50 varieties. They sell their soups to restaurants and other food services, as well as selling some at supermarkets. These are all natural soups and they produce all of their own stocks. A number of the soups are vegetarian, dairy free, gluten free or low fat. It appears that ten of their soups are currently available in single serving sizes at local supermarkets. I tried several of their soups, such as New England Clam Chowder and Chicken Tortellini Soup. Both were very flavorful, and the chowder was an excellent consistency, neither too thick or thin. I would have ordered either of these two soups at a restaurant. My favorite of their soups was the Coconut Curry Chicken Soup, a tasty and well balanced soup with a rich coconut flavor and a mildly spicy kick. This soup is both dairy and gluten free, and I would have loved a huge bowl with some naan bread. For a healthier snack, you might want to consider Mini Pops, air popped sorghum grains. The company launched its full product line in January 2011, and the Mini Pops are organic, gluten free, corn free, and Kosher. Popped sorghum has been popular in Africa and India for hundreds of years, though it is very new to the U.S. Compared to popcorn, the Mini Pops are much smaller, though they taste very similar. Mini Pops come in a variety of flavors, such as Itsy Bitsy Chili Cheese, Itty Bitty Butter, and Baby White Cheddar. These flavored ones were interesting and tasty too, especially the spicier varieties. The Cutie Caramel Clusters were also a good choice, sweet but not overly so, and similar in some respects to caramel corn. As a lover of hard cider, I had looked forward to checking out Fatty Bampkins Maine Draft Cider at the food show. Produced in South Casco, Maine, they use only 100% fresh cider which has been pressed at Ricker Hill Orchards in Turner, Maine. The only other ingredients they use are yeast, apple juice, sorbates and sulfites as preservatives. They produce only two batches each year, the first from the initial pressing of apples in November. They save some of the apples for a second pressing in February. Six apple varieties are used, and each is fermented separately, with three different yeasts, yielding 18 different ciders. The ciders are aged for about four months in used bourbon and rye barrels. Those ciders are then blended together and filtered for the final product. The hard cider is gluten free. When they first began, they produced an initial run of 2000 gallons and last year they made 12,000 gallons. They won't produce any flavored hard ciders, and stated that in Massachusetts, if you add any flavorings, then you are not legally permitted to call it a cider. One of their future plans is to add a new apple variety each year, to further expand the complexity and flavor of their hard cider. They currently produce two different hard ciders, the Original and Dry, and they are available for draft or in bottles. You can purchase a 1/2 or 1/4 barrel for drafts, or buy a 22 ounce bottles, which generally sells for $6.99. They should be available in Massachusetts in April. The Original is made in a more European style and has an alcohol content of 5% and 8 grams of sugar per 12 ounces. It had a clean and crisp taste, with prominent and delicious apple flavors and a mild sweetness. It certainly would be refreshing on a warm day and its lower sweetness means you could drink a few bottles without overdosing on sugar. The Dry has an alcohol content of 6.8% and 1.1 grams of sugar per 12 ounces and is similar in taste though far more dry, and with a bit of tartness on the finish. I enjoyed both ciders and would like to do some taste tests pitting them against a few other hard ciders. Finding new and delicious Spanish wines always delights me. The Clos Pons winery is located in the Spanish D.O. of Costers del Segre, which is roughly located in the northeast corner of Spain, close to Pyrenees. Within that D.O., the winery is in the Les Garrigues district and the Pons family has been growing olives and producing olive oil since 1945. Olive trees are the most common crop in this region, and the soil is generally very dry. Though they were pouring samples of their olive oil at the food show, I only sampled their three wines. The 2010 Clos Pons Sisquella (named after the owner's aunt) is an intriguing blend of Garnacha Blanca, Albarino, and Moscatel de Alejandria. With an alcohol content of 13.5%, the Garnacha Blanca was fermented and aged with battonage in French oak for 4 months. I loved the unique taste of this wine, a balanced melange of bright fruit, especially pineapple and citrus, with restrained spice notes and floral elements. A very compelling white wine, with plenty of depth. The 2009 Clos Pons Alges (named for the area where the vines are located) is a blend of Tempranillo, Garnacha, and Syrah. With an alcohol content of 14.5%, it spends about 9 months in new and used oak, 80% French and 20% American. This is a big and bold wine, with strong blackfruit and licorice flavors and a rich spiciness. This is something you want with a thick, juicy steak. In comparison, there is the 2008 Clos Pons Roc Nu (the name meaning "new rock" and Roc also being the name of the owner's son). This is a blend of Tempranillo, Garnacha, and Cabernet Sauvignon which has an alcohol content of 14% and spends about 12 months in new and used French oak. It is a much silkier wine, lacking the bold spices of the Alges, yet still retaining some more subtle spice elements. The Roc Nu has more concentrated blackfruit flavors with touches of mocha and violets. With a lengthy and satisfying finish, this is a more elegant wine than the muscular Alges. All three wines come with my recommendation. Ryan & Wood Inc., Distilleries is another local, artisan distillery, and has been around since 2006 in Gloucester, Massachusetts. It was founded by Bob Ryan and Dave Wood, and they currently produce four spirits, including gin, vodka, rum and rye whiskey. I plan to make a visit to the distillery in the near future, so will only give some basic tasting notes for now, which I hope to expand upon later. The Knockabout Gin is made with 10 botanicals, and though I am not a big fan of gin, this actually wasn't too bad, especially considering the juniper flavor was more muted. The Beauport Vodka is a produced from a blend of barley, wheat and rye and I consider more a mixing vodka, rather than something I would enjoy on its own. The Folly Cove Rum, which spends about 18 months in a 30 gallon, used Jack Daniel's barrel, possesses an alluring aroma and a smooth, flavorful taste with a nice depth to it. This would make a good sipping rum, or blended into a cocktail. The Straight Rye Whiskey spends about three years in a new, charred American oak barrel, and also possessed a relatively smooth taste with only a mild but pleasant burn on the finish. It had rich flavors, with hints of smoke, and was very pleasing. Both the Rum and Rye would be my preferences. 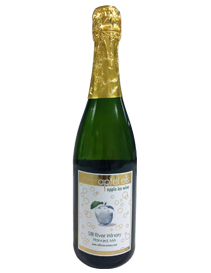 Still River Winery, of whom I have previously raved about, now produces a Sparkling Apple Ice Wine. This bubbly was originally produced for the owner's son's wedding but it was enjoyed so much, his family and friends wanted more. Thus, about six months ago, he started making it, and has produced about 100 gallons. In comparison, in 2011, he produced 1200 gallons of still apple ice wine. I enjoyed the flavor, lots of delicious apple notes, refreshing bubbles and it was not overly sweet. It is likely to be a real crowd pleaser. My only issue is that it is expensive, $16.99 for a 187ml bottle or $64.99 for a 750ml bottle. Yes, supplies are very limited and production is laborious, but the price puts it on the equivalent with a good Champagne. I am back with another volume in my new series, Authors, Alcohol & Accolades. Volume 1, Volume 2, Volume 3 and Volume 4 each showcased four of my favorite authors, and I have returned to highlight four more, and to delve into their drinks of choice. I have found this to provide a fascinating glimpse into the life of the writers I enjoy, and hope you like the interviews as well. You can look forward to further volumes in this series too, and any authors who are interested in participating in future volumes can contact me. Myke's debut novel, Shadow Ops: Control Point, was published in January amidst a flurry of excellent reviews. And all of those accolades are completely justified as Myke has written an impressive first novel. Like a more militarized version of The X-Men, Myke has constructed a fascinating world where numerous people have manifested super powers, some which are considered illegal because they are seen as too dangerous. There are a number of well written combat scenes throughout the book, and an interesting collection of characters, including the alluring but lethal Scylla (aptly named). Myke has a military and law enforcement background, so his experience exudes throughout the book. You will also find some fascinating thoughts on the morality and ethics concerning such a fantasy world. It is a compelling read, and I am eagerly awaiting its sequel and further development of this intriguing world. It gets my strong recommendation. "My hot weather drink is hard cider (my favorite is Hornsby's crisp apple). I love travelling to England where hard cider is taken seriously. In this country, you're lucky if a bar carries a single brand of cider (and you've really own the lottery if it's something other than Woodchuck). Worse, it's considered "girly" to drink sweet alcohol in this country, doubly so when you're in the military. I've lost count of the number of times I've ordered hard cider with my sailors and had one of my chiefs ask me, "why don't you just have a flirtini, sir? "I redeem myself in cold weather, when I go for Laphroig 10 year (because it's cheaper. Believe me, I'd go with cask strength or older stuff if I could afford it, but hey, I'm a full time writer. Translation: I'm broke). I love the intense flavors of Islay scotches in general, but I think Laphroig is really unique. All Islays have that smoky, peaty flavor, but Laphroig is exposed to the lashing waves of the coast while it's maturing. The result is a slight briny/salty flavor to the liquor that I absolutely love. Nothing better on a cold night, in front of the fireplace, with an Irish wolfhound at your side. And by that I mean, my brother's fireplace and my brother's Irish wolfhound. I'm a full time writer. I live in a 200 sq. ft. crappy apartment in a really bad neighborhood with no fireplace and they don't allow dogs." With Robert's books, I started with his latest work first, The Troupe, and enjoyed it so much that I sought out his two older works to read as well, Mr. Shivers and The Company Man. The Troupe takes place in the early 20th century, centered on a group of vaudeville performers, and begins slow, developing its atmosphere and allowing you to gain some understanding of the characters. The next thing you know, you'll find yourself riveted to the mythic aspects of the novel and you will rush to finish it, to see how it all resolves. In some respects, it reminds me of works by Stephen King and Neil Gaiman. Mr. Shivers takes place during the Depression and is more a horror novel than a fantasy, yet it too has mythic elements. If a legend killed your child, what would you do? Like The Troupe, it slowly builds until finally accelerating to a powerful finish and satisfying finish. The Company Man takes place in 1919, though in an alternate reality, and is more science-fiction noir, and Robert has developed a fascinating world sure to intrigue readers. Check out all three of Robert's novels and be prepared to very satisfied with what you find. "I’m pretty much open to nearly any kind of hooch, but I do find that when I’m settling down to a drink or two at night with some good television, I stray toward cocktails that have the vague appearance of being fancy, but really aren’t. By which I mean they only have 3-5 simple ingredients, require only the most basic of preparations (swirled in a glass with ice, preferably), and they usually tend to be pretty old-school. My favorite is the Sazerac, prepared either with cognac, rye, or – dare I say it – even bourbon, if I have nothing else available. (I used to be a cognac acolyte, but like most of my culinary affectations, it didn’t last very long. Snobbery is all about saying "no," and life is too short for that.) In the summer I’m frequently partial to an Old Fashioned, usually made with Bulleit and plenty of orange. And of course nothing ever beats the crisp kiss of a martini. Shaken, stirred, olive or pearl onion, whatever – in the heat of the Texas summer, I’ve never thought to care. ...though I do insist it be made with gin." It is always interesting to find fantasy novels based on non-European cultures, and Saladin's Throne of the Crescent Moon presents a well-developed and intriguing world with a more Arabic flair, borrowing elements of its culture and folklore. I was enthralled with the world that Saladin created, an abundance of fascinating details which immerses you deeply into the book. The plot centers on Doctor Adoulla Makhslood, a 60+ year old ghul hunter, and his young assistant Raseed, a devout warrior, who must prevent a great evil from befalling their home city. Adoulla is not your typical fantasy protagonist, and the skillfully written novel offers a freshness to the genre. We can thankfully look forward to additional novels with Adoulla. This debut novel is highly recommended. "My novel takes place in a quasi-Islamic invented world where alcohol is on the fringes of society. So it's a bit funny to be answering this. Really I should be talking about tea or coffee or raw juices. What's more, I myself am not much of a drinker. I dislike spirits, and I lost my taste for wine years ago. I do love good beer, though. A good pint of ale is one of life's joys. "But more than that, I pretty much agree with Samuel Johnson when he said "There is nothing which has yet been contrived by man, by which so much happiness is produced as by a good tavern or inn." I love a good pub more than I can say. A place where one can be convivial if one wishes, or can be left alone over a well-poured pint and a plate of fish & chips... Paradise!" Shawn's novel, 47 Echo, is fast-paced and exciting military science-fiction concerning a future war against China and North Korea. Convicts are brought together into a suicide squad, sent to defend war torn Russia from the invaders. Despite the overwhelming odds, the squad coalesces into a successful force, led by convict Nick Morrow, and is able to overcome great obstacles, though not without a cost. The action never slows down and your only disappointment will come when you realize you have finished the book and there is nothing left to read. Fortunately a sequel, Supercritical, is due out June 11, and it takes place about a year after the events of 47 Echo and sees Nick and his squad being sent into the heart of China, obviously a perilous situation and upping the risk factors that Nick previously faced. Grab 47 Echo now before the sequel comes out and savor the action. "I used to love alcohol... a little too much, as it turned out. So these days it's coffee, about which I've managed to get obsessive and a bit snobbish. Don't get me wrong, I'll drink almost anything -- but when I have the time, there's nothing better than Green Mountain Dark Magic Espresso Blend, freshly ground, served just below nuclear-hot with a teaspoon of raw sugar. Keurig coffees work in a pinch, but there's something awesome about a perfectly brewed cup of fresh-ground coffee that makes a day worth getting up for." Sometimes trust takes time to build and develop, while other times, trust is given merely because of one's position. In such a case, it is assumed that the position automatically comes with the requisite knowledge and experience, even though that might not be the actuality. The assumption creates a responsibility for that person to live up to the perceived trust. In time, that assumed trust can be shattered if the person bearing the position proves unworthy, destroying any chance of a further relationship. This assumption of trust can occur in wine stores. A number of customers walk into a wine store and ask for a recommendation from an employee, trusting that the employee will choose wisely for them. When the employee offers a recommendation, the customer may then immediately purchase that wine, trusting that they have not been led astray. They don't ask about the employee's credentials or whether they hold any certifications. They don't ask about their years of experience or their areas of expertise. The mere fact that the employee works in the wine store is enough for some customers to imbue trust in that employee. Many people still feel intimidated by wine, believing they lack the knowledge to best select a wine. So they seek assistance from someone they believe has the necessary confidence and knowledge, the wine store employee. Other customers might rely upon wine scores or the options of professional wine critics. But many average individuals prefer to rely upon face to face contact, a more intimate situation, with a wine store employee. This is a powerful dynamic, an interaction which can have significant ramifications beyond a single wine sale. With all of this trust also comes great responsibility. The wine store employee must look beyond that single sale and toward establishing lasting relationships with your customers. A customer's automatic trust will only go so far if the advice they receive fails to please them. So, it is the obligation of the wine store employee to ensure their recommendations are worthy of the trust that have received. They should not pretend to possess knowledge they do not have, or recommend wines merely to empty excess stock. They should gather as much information from the customer as possible on their wine likes and dislikes so as to customize their wine recommendations. It is all about developing relationships, about building a regular customer base. The objective should be that the customer enjoys the recommendation sufficiently so that they return for additional recommendations. It is very easy to make a quick sale to a trusting customer. A wine store employee could try to unload what ever wine has not been selling much, even if it would not be the right wine for the customer. That is short sighted though. It is far harder to build a lasting relationship, to prove that the customer's trust is not misplaced. In addition, it should be remembered that customers will share their experiences, whether positive or negative, with their family and friends. Word of mouth has always been a potent form of advertising. One satisfied customer can easily turn into ten more as they spread the good word to those they know. Or in the negative, if you betray their trust, you would lose both actual and potential customers. For customers, it is quite valuable to find a wine store that they can trust, which will advise them properly about which wines to buy. What are your positive or negative experiences with service at wine stores? I am back with a special Friday edition of Sips & Nibbles, my regular column where I briefly highlight some interesting wine and food items that I have encountered recently. There are lots of upcoming events so wanted to showcase some of the most interesting ones. 1) The American Diabetes Association is planning an Alert Day on Tuesday, March 27. This one-day call to action asks people to determine their risk for developing Type 2 diabetes through the Diabetes Risk Test available on the Association’s Facebook page. Though you will find a Test on their site before March 27, it is updated and re-launched with a new, more accurate algorithm on March 27 so you should wait until then to take the test. As a bonus, for every Diabetes Risk Test taken, Boar’s Head will donate $5 to the American Diabetes Association starting on March 27 through April 27, 2012 up to $50,000. · Diabetes affects nearly 26 million children and adults in the United States but a quarter of Americans who have type 2 diabetes don’t know they have it. · An additional 79 million (or one in three) American adults, have prediabetes, which puts them at high risk for developing type 2 diabetes. · Unfortunately, diagnosis often comes 7 to 10 years after the onset of the disease, after disabling and even deadly complications have had time to develop. Therefore, early diagnosis is critical to successful treatment and delaying or preventing some of its complications. I was diagnosed with type 2 Diabetes last December, but have been able to keep it under control through diet and lifestyle changes. But that was partially due to an early diagnosis, before the disease had taken hold and caused significant problems. So please take this Diabetes Risk Test, and just maybe it will save your life. 2) Celebrate Easter, Sunday, April 8, with friends and family at The Fairmont Copley Plaza’s Oval Room with a brunch buffet, as well as a variety of children’s activities. Choose from an array of items that range from raw bar and charcuterie to soups and salads to caramelized onion and Gruyere quiche to Grand Marnier French toast. Action stations include made-to-order omelets and carving stations, each served with the appropriate accompaniments. The grand finale includes a dessert buffet, with treats for every sweet tooth, from fruit tarts and cheesecakes to chocolate mouse. The centerpiece of the dessert station will be a pineapple and bananas Foster action station. The buffet will be garnished with festive chocolate eggs, Easter bunnies and spring floral arrangements. Easter Brunch will be served in the Oval Room on Sunday, April 8, from 11:30am. to 3pm. The brunch buffet is available for $79 for adults and $39 for children. Prices are inclusive of juice and coffee. Reservations are recommended. Please call (617) 267-5300. 3) Celebrate Easter, Sunday, April 8, from 11am-3pm, at Towne Stove and Spirits for an Easter brunch. In addition to serving their signature brunch menu, Culinary Director Lydia Shire and Executive Chef Mario Capone will also be dishing out exclusive specials. For their specialty entrée, dig into the Wood Roasted Leg of Lamb (crispy fried artichokes, ricotta & spring pea ravioli - $21). If a little more sugar is just what the doctor ordered, indulge in the Lemon & Poppy Seed Cheesecake (homemade strawberry preserve - $9). These specialty items will join Towne brunch classics including: House-made Rum Smoked Salmon with Potato Pancakes (hot horseradish crema, beet chips - $12); Deep Fried Poached Egg on ‘Minute’ Skirt Steak (creamed spinach, curried croutons - $16); Cinnamon Fresh Toast (Lyles Golden Syrup, whipped marmalade butter - $11); Chicken & Waffles (grits, bacon, Tabasco - $14); ‘Kitchen Sink’ Bacon Sandwich (ripe tomatoes, Xtreme French fries); and Wood Grilled Pizzas (margherita - $16; crab, chive, ricotta - $19; sausage & pepperoni - $18). For reservations, please call: 617-247-0400. 4) Fleming’s Prime Steakhouse & Wine Bar is pleased to celebrate Spring Break with a special “break” for its guests: the iconic combination of a tender Filet Mignon and a sweet North Atlantic Lobster Tail, plus a starter course and a side, all for only $34.95* for a limited time. Now through April 7 at all Fleming’s locations, guests can start the Spring Break Celebration with their choice of the Wedge Salad with crisp iceberg lettuce with grape tomatoes, red onions and crumbled blue cheese or French Onion Soup baked with gruyere and parmesan cheeses. The filet mignon—Fleming’s leanest meat—and broiled lobster tail with drawn butter are accompanied by a choice of French Green Beans with shiitake mushrooms and porcini essence or Fleming’s Mashed Potatoes topped with blue cheese, parmesan-peppercorn or roasted garlic. The Spring Break Celebration is not on the regular menu and is available only upon request. 5) Chef Michael Leviton of Lumiere teams up with Rabbi Lev Ba’esh for a Seder dinner offered on two nights this Passover. Entitled “A Journey Toward Freedom in 4 Acts and 4 Courses,” the dinner event is a Passover of welcoming and inclusion for Jews, interfaith families and anyone who appreciates a good story, a good song and good food. The interactive four-course dinner will be served family-style with open seating to encourage people from all walks of life to sit together and celebrate Passover. The dinner also includes the traditional four questions regarding the story of Passover, as well as singing with a live band in between and during courses. A Reform Rabbi, Lev Ba’esh is also the Interfaith Ambassador for Combined Jewish Philanthropies in Boston and the Director of the Resource Center for Jewish Clergy at InterfaithFamily.com. Lev can be found teaching courses on Jewish living and life cycles, and facilitating workshops on ‘Inclusion and Welcoming’ of unaffiliated Jews and interfaith families in Jewish life and community. sampling and selling hundreds of different cheeses. Artisan bread makers and small-batch chocolatiers are among the 20 specialty food producers that will join the cheesemakers, along with 20 Vermont wineries and breweries offering local and organic microbrews, ice wine, and award winning cold-climate wines. Admission is $40 per person, or $50 with wine and beer tasting. Seminars are $45 per person and seating is limited. For additional information and ticket reservations please visit www.vtcheesefest.com or call FlynnTix at 802-86-FLYNN (802-863-5966). Early registration is strongly recommended as the Festival typically sells out well in advance. I have attended this event several times and it is a very worthy event, with tons of fine food and drink samples. There is a limited amount of tickets so you really should order your tickets early, or you might find out it is already sold out. Who doesn't like cheese? 2) On April 4, Neurofibromatosis, Inc. Northeast will celebrate their 13th annual Table for TEN event in Boston. With Honorary Chairperson Jenny Johnson (Producer and Hostess of NECN’s TV Diner) emceeing this evening, supporters will be shuffled off to some of the city’s dining establishments to enjoy a three-course meal before closing out their night at a dessert reception and live auction hosted at Parris in Faneuil Hall. Neurofibromatosis, Inc., Northeast has provided research grants to scientists at leading institutions around the country. NF, Inc. is proud to have been the impetus behind the creation of The Harvard Medical School Center for NF and Allied Disorders (CNfAD), a virtual center whose mission is to define the pathogenetic mechanisms that cause NF1, NF2 and related disorders. NF, Inc. is the leading resource in the northeast for patients and families who live with NF, a genetic condition that causes tumors to form on nerves anywhere in or on the body. Neurofibromatosis is more common than cystic fibrosis and muscular dystrophy combined. Groups of ten guests will arrive at their respective restaurant at 6pm on Wednesday, April, and will indulge in a specially created three-course menu. Participating restaurants in the 13th annual Table for TEN event include, but are not limited to: Post 390; Red Lantern; Davio’s Northern Italian Steakhouse; Forum; Lucia’s Ristorante; Fleming’s Prime Steakhouse & Wine Bar; Strega Waterfront; Cafeteria; and, Legal Harborside. At 8pm, supporters are invited to continue the festivities at the official after-party at Parris in Faneuil Hall. At this dessert reception, Montilio’s Baking Company will provide custom sweet treats and revelers will enjoy entertainment and a live auction by Honorary Chairperson, Jenny Johnson. To attend this event, please contact Sonja Nathan of NF, Inc. Northeast at 781-272-9936 or snathan@nfincne.org. For more information on the Table for TEN event and to reserve online, please visit: www.nfincne.org. Tables for ten are available beginning at $1,000 and individual placements at a table may be reserved for $100. To attend the dessert reception and auction only, guests are kindly asked to make a $20 donation to NF, Inc, Northeast. Sponsorship levels are also available. 3) March 20 is National Ravioli Day. The traditional Italian filled pasta is a tried and true staple on menus at some of the best restaurants in the city, and now chefs are adding more creative takes on the Italian favorite. This year make it your mission to fill-up on the stuffed doughy delight, and stop into one of these Boston area venues to sample their rendition of the delectable ravioli. BOKX 109 American Prime (399 Grove Street, Newton – 617-454-3399) will feature a paired St. Patrick’s Day duo. Dig into a hearty Corned Beef Rueben at the bar and wash it down a cold pint of Guinness or Smithwick’s, or a glass of Jameson Irish Whiskey. In true “luck or the Irish” fashion, BOKX 109 American Prime will also be giving away a daytime pool cabana for eight people to be redeemed in the summertime. Culinary Director Lydia Shire and Executive Chef Mario Capone will be whipping up specials to honor Emerald Isle. Go the traditional route with Corned Beef & Cabbage (with honey mustard and smoked sea salt - $21) or venture out with the Butter Poached Lobster (with leek pie, crispy potato and Irish whiskey sauce - $41). Haru is going “green with envy” with one of their specialty cocktails this Saturday. The Green Tea Margarita (Patrón Reposado tequila, Citrónge, green tea liqueur and sours - $12). Green tea is healthful and packed with antioxidants, after all. 5) Come to The Beehive, with their “Blues on Sunday” series, an ongoing down-home presentation of the area’s best blues music, food and cocktails. Each Sunday from 8pm-12am, “Blues on Sunday” showcases the very best blues music in New England with an all-star house blues band led by 25-year musical veteran Bruce Bears on the keyboards, a core band of inspired performers and a rotating cast of legendary “drop in” musicians making guest appearances. Guest can enjoy offerings from the fresh raw bar including oysters ($2.50 each) and jumbo shrimp cocktail ($3 each), or opt for one of The Beehive’s raw bar platters (2pp $40/ 4pp $80/ 6pp $110). Another special is the Fall-Off-The-Bone’ Baby Back Ribs ($13.00). Those looking for more traditional fare with their blues should try the roast mustard & herb crusted rack of pork with Brussels sprout & prosciutto hash ($24.00), or the all-time favorite, The Beehive Prime Burger with frites and slaw ($15.00). A Boston Globe correspondent stands in the middle of a small room without walls, surrounded by piles of jagged, glass shards. Next to one pile is a medium-sized rock and the correspondent stares at the rock, which she had thrown only moments before. The ramifications had been obvious, yet she made the throw anyway. There are always consequences. A headline on the front page of the Boston Globe newspaper, the March 7 edition, disturbed me: "Bloggers Eat Free." What sensationalism was this all about? I turned to the article, Eat, Tweet, Blog, and found it was about the Boston Brunchers. I have attended a few of the Boston Bruncher events so I am familiar with the organization and a number of the other bloggers who go to their events. In general, I found the article to be shallow, failing to depict the greater details and scope of the organization. But what most bothered me were the attacks on the integrity of the bloggers for accepting free meals. Throughout the article, the correspondent made several digs at the bloggers including, "While bona fide reviewers, who taste anonymously and pay for everything, see this as a conflict of interest (what bad things are you likely to say when the meal is free?)" This is insulting on numerous levels, such as not considering bloggers to be "bona fide." In addition, the writer is essentially implying that a blogger will sell their integrity for a measly $30 brunch. As one of those bloggers, I am deeply offended that anyone would think I would compromise my integrity for such a meager amount. I have spent years honing my craft and believe I possess a very good reputation. My blog even possesses a Code of Ethics with a listing of my Disclosure, Advertising and Sample Policies. The correspondent seems to possess an air of superiority because she is writing for a traditional newspaper, though she also has her own blog, Bistro Broad. Now return to my initial paragraph for a moment and consider what I am trying to say. To put it more plainly, think about the saying that "people who live in glass houses shouldn't throw stones." The Boston Globe correspondent who penned the Boston Bruncher article is named Kathleen Pierce and I have met her. In fact, I met her back in March 2010 when we both attended a free wine junket to Paso Robles, California. Free airfare, free hotel, free meals, free wine tastings, and more. As a reasonable estimate, each writer probably received benefits worth at least $2000. This really puzzles me. How can the writer who received such a bountiful freebie now complain about a blogger receiving only a $30 brunch? Even if a blogger went to 10 of those brunches, the value of those meals still would not equate to the value of the wine junket. There is an unjust double standard here, and Kathleen should be ashamed she even raised the issue in her article. Did Kathleen compromise her own integrity when she received that free press trip? If she thinks someone will do so for a $30 brunch, then such a trip must surely have done so to her. Just consider how many $30 brunches it would take to equal a $2000 press trip. How many other freebies has Kathleen accepted during her writing career? Is the Boston Globe aware of the previous Paso Robles trip? Stop throwing stones when you are guilty of accepting far more than a meager brunch. Bloggers are particularly aware of disclosing any freebies they receive, especially after the FTC rule changes of 2009. Anyone who considers themselves a Journalist should be even more aware of such ethical issues. So it seems logical that Kathleen, who describes herself as a journalist, is aware of those rules yet why did she ignore them on her own blog? If you look at her Paso Robles blog posts, you will see that she failed to disclose the press trip that she took, a clear violation of the FTC rules. And this is the person who is questioning the ethics of the Boston Brunchers. It is very sad to me. I believe Kathleen Pierce should publicly apologize for questioning the integrity of the Boston Brunchers. I also believe the Boston Globe should offer their own public apology for Kathleen's article. So let us await their response. For an additional discussion on the ethical issues of this article, please check out Adam Japko's post, Wine Blogger Sample Disclosure Double Standard, a well-written discourse on this matter. Update (3/15/12): Douglas Most, the Deputy Managing Editor of Features at The Boston Globe emailed me a response to my post. He stated they were unaware of Kathleen's wine trip, but at the time she was not a regular Globe freelancer and had only submitted several freelance pieces. She never wrote about the wine trip for the Globe. He has also spoken to Kathleen, reminding her of the Globe’s freelance policy and that freelancers must avoid all trips, free meals or such which could be or be seen as a conflict of interest. It does not appear that any apology will be forthcoming.